As a teenager in growing up in a small town in Australia, Bruce finds his home claustrophobic, lacking in entertainment and even less in prospects. When he makes a friend in Loonie, another local boy, he warms to his reckless nature, constant energy and constant striving for excitement. Although Bruce is banned from going into the sea by his water fearing father, it constantly draws him. Together the boys dive as deep as they can for as long as they can, pushing themselves the only know how. When they discover surfing, it becomes all consuming and they crave it night and day. They chop wood, help neighbours and do odd jobs until they afford their own basic boards. Their passion isn’t truly ignited until they see one lone male surfer, owning the waves, surfing like he was born on the water. Although usually a loner, the surfer knew as Sando appreciates and relates to the boy’s youthful passion and he takes them under his wing. Soon the surfer becomes the apple of both the boy’s eyes and as they clamour for his attention, the boys drift further apart until Sando makes a decision that sends their lives in directions they never would have dreamt. I work in a shop where Tim Winton is a truly worshipped author but this is the first novel I have ever read by him…but now it all makes sense. 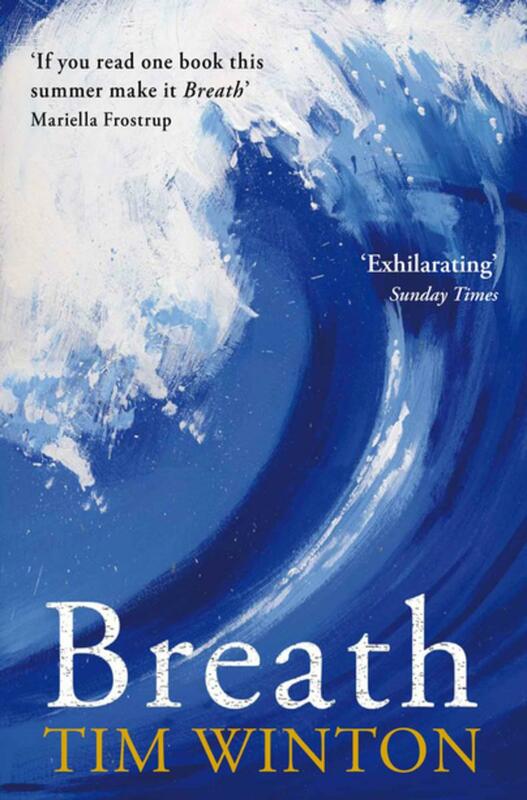 Winton conveys a passion for the sea and thrillseeking in this novel that is completely intoxicating. If, halfway through this book, you aren’t chomping at the bit to rent a VW Campervan and head to Cornwall to surf, then you have no soul. The first half of this novel comes across as a ‘teenage summer of discovery’ style of story, which then takes a darker turner as one of the characters is forced to grow up far too quickly, which then goes on to influence his entire life. It raises interesting questions about stolen youth and at the end, I was genuinely moved. Overall, I adored this book. This is one to read slowly, savour the descriptions and mull over the characters, so rush it would be doing it a misjustice. It leaves me looking forward to reading more of his work.